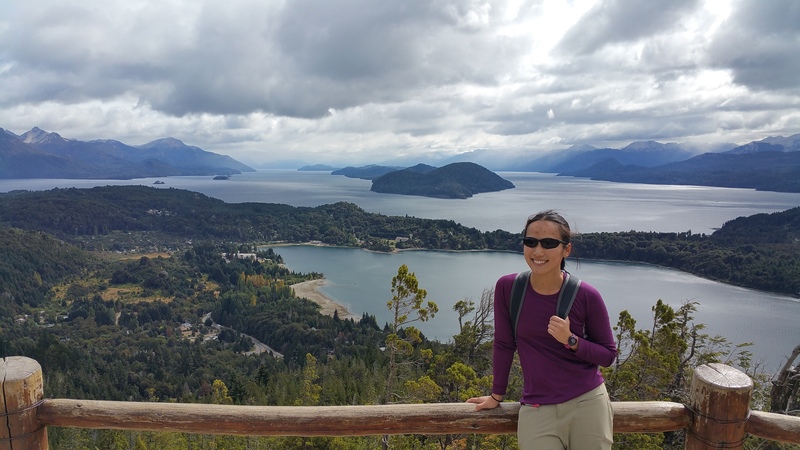 Bariloche, the “Lake Tahoe” of Argentina, is packed in the summer and winter seasons with internationals and locals. 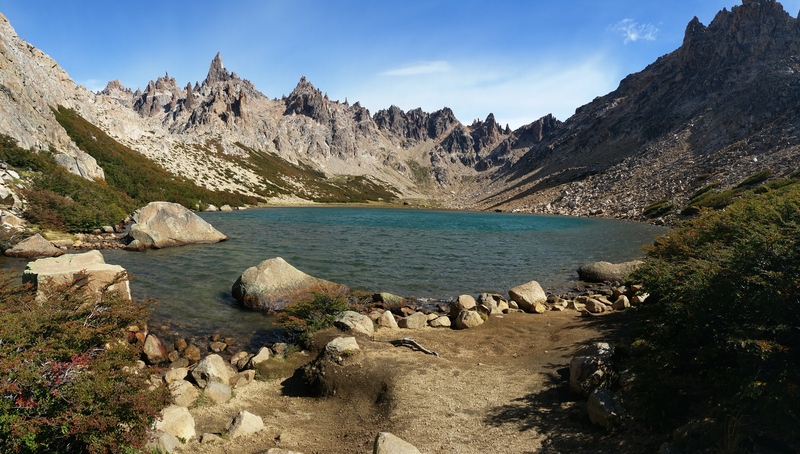 Having the only true ski resort and village in the entire South American continent, Bariloche boasts quite the reputation for its terrain and is slammed during the snowy months. 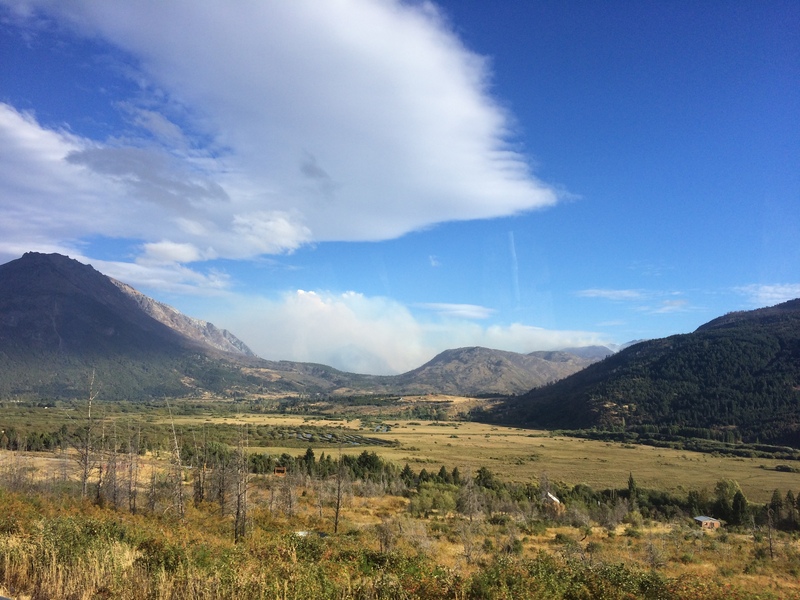 In the summer months, local families and teens flood this city to enjoy the only “nightlife” in Patagonia along with outdoor gems such as hiking, boating, mountain biking, camping, paragliding, and rafting. 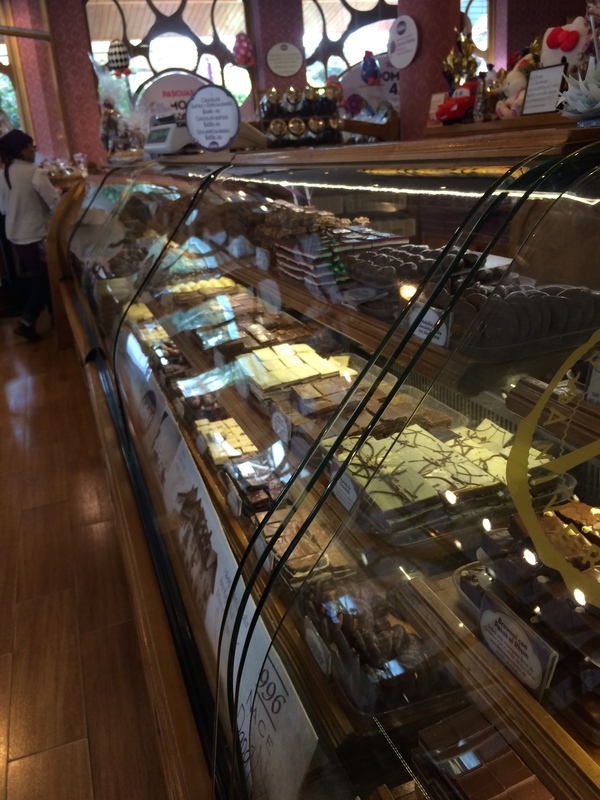 Boutiques, breweries, chocolate shops, and restaurants are scattered throughout. 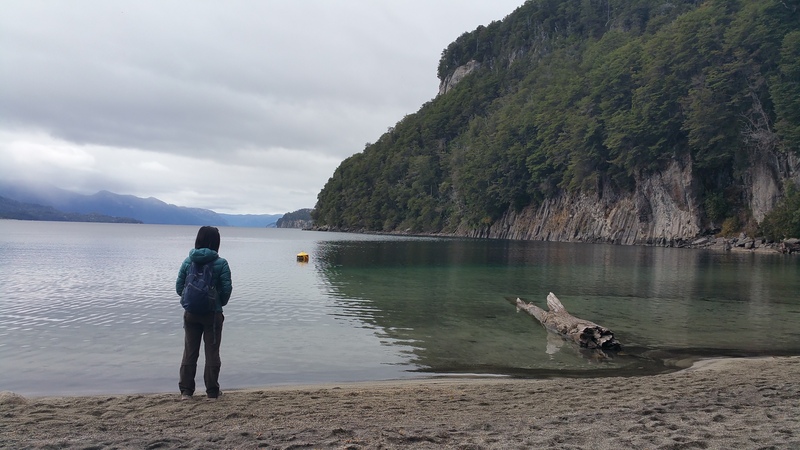 Backpackers, tourists, and city dwellers can all easily find something in the small city of Bariloche to satisfy their desires. 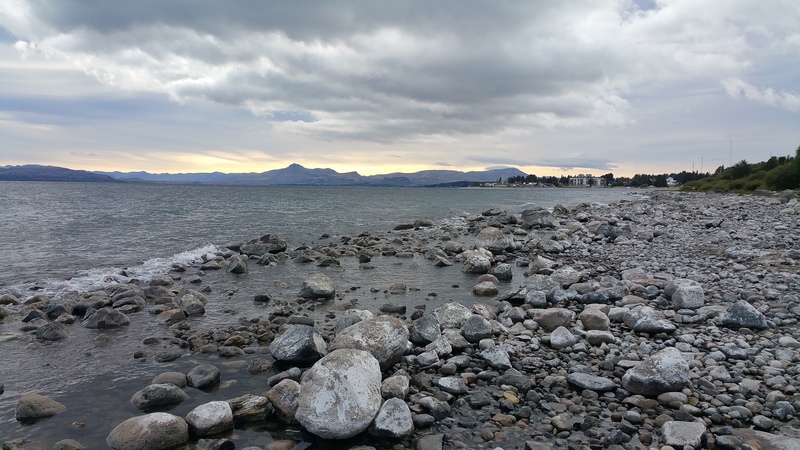 Upon planning an itinerary for Bariloche, I stumbled across the problem of figuring out what to do in Bariloche, only because there was too much to do. 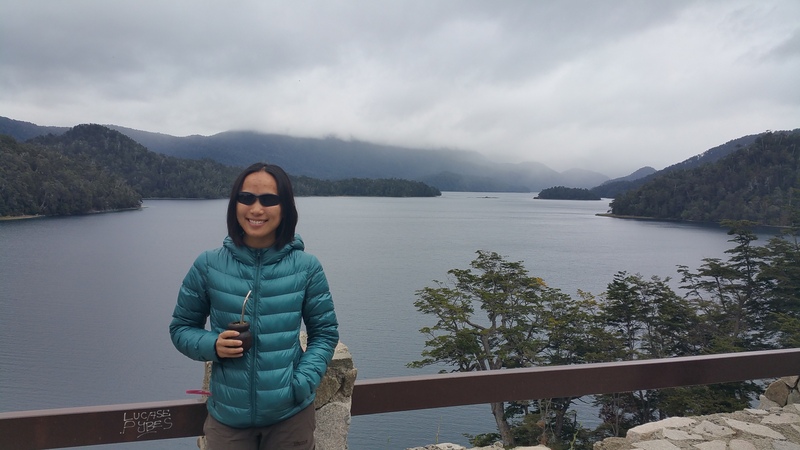 Despite the giant gap of land between El Calafate, Southern Patagonia and Bariloche, Northern Patagonia, flying was out of the question since airfare was not economical. It was going to be bus. The direct Route 40 that connects El Calafate to Bariloche takes vehicles across an unpaved gravel road. 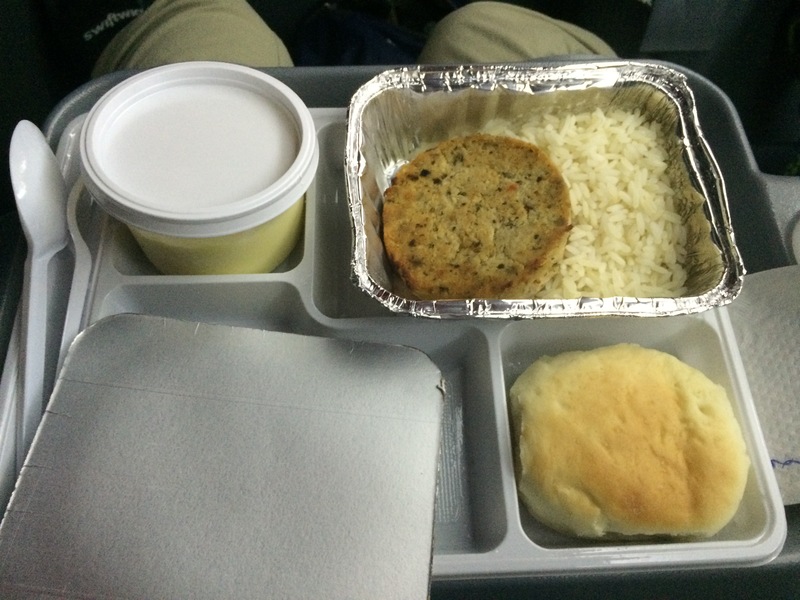 Adding 20+ hours of drive time, a dingy bus, and seats that hardly recline easily adds more weight to the misery. We opted for a much less direct route via Route 3 with the bus company Taqsa, but in exchange for more miles, the tradeoff was a newer bus, comfier “cama” (bed-like) seats, and paved roads throughout the journey. Although cheaper than airfare, bus tickets were still not cheap. 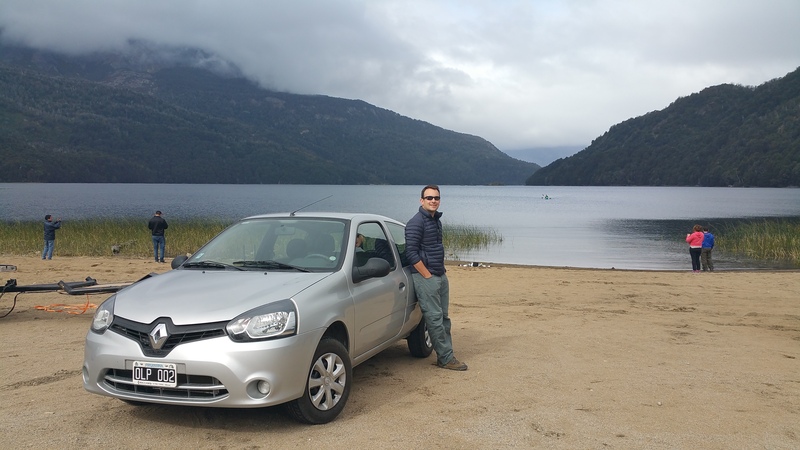 It was $230 ARS (~$26 USD at the government rate) from El Chalten to El Calafate (2.5 hours), and $1580 ARS (~$180 USD at the government rate) from El Calafate to Bariloche (28 hours). Yes, you saw that right. 28 HOURS. In a BUS. 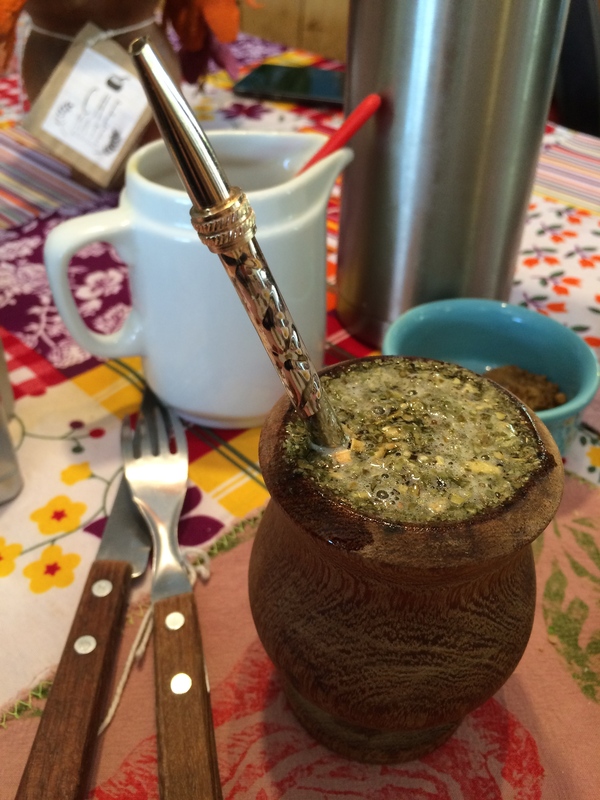 Driving in South America is not economical; I did the math and realized that with the cost of gas, tolls, time, and snacks/food, taking a bus was probably cheaper than driving one’s own car. Yikes. 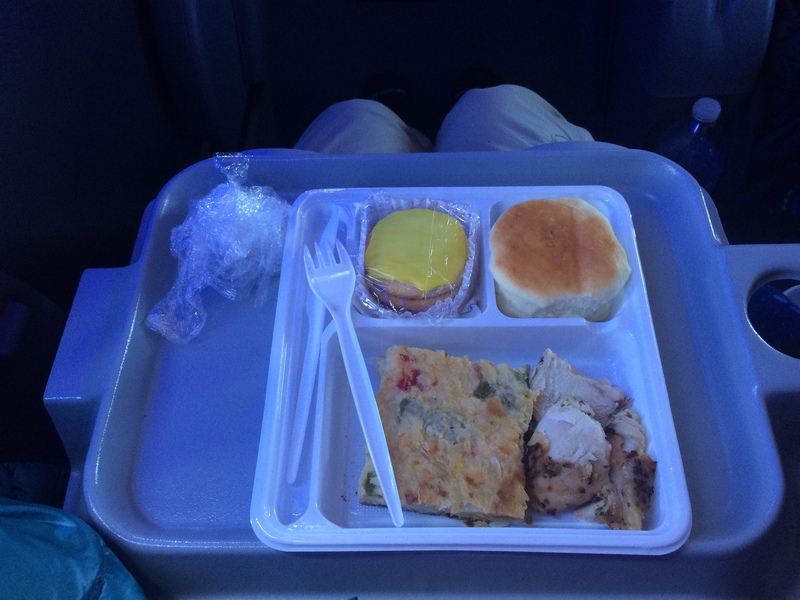 Meals were served on the bus, but they were definitely not first class. We were glad that we brought our own fruit and snacks. Dinner, served at 9:30. 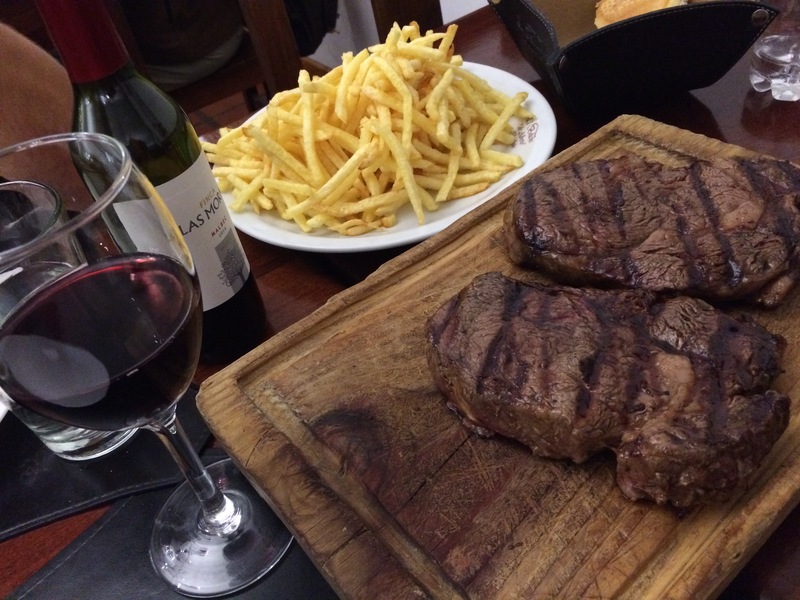 Argentinians eat so damn late! After a departure of 4pm the day before, we finally pulled into Bariloche’s bus terminal at 8pm the next day for a total of 28 hours. We cabbed it into the city center, wandered around and stumbled across a hostel where we ended up spending the next 5 nights. 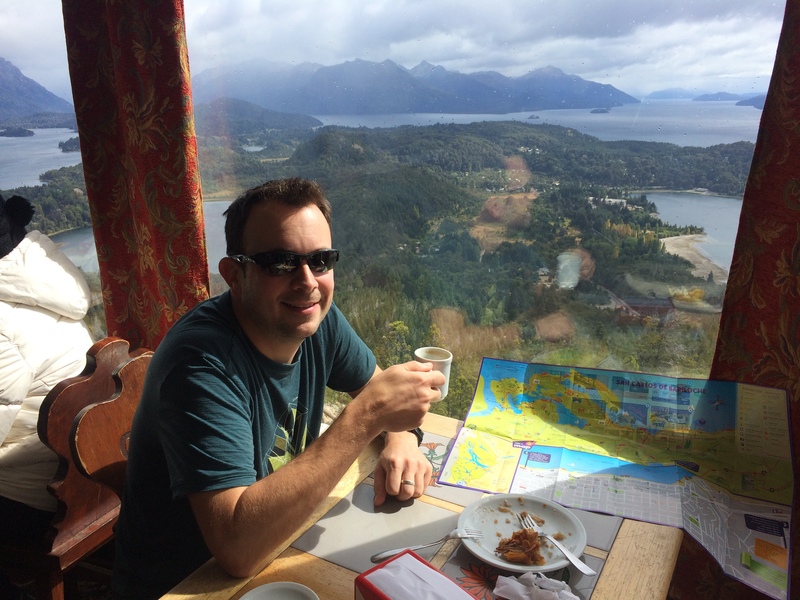 With 4 whole days and somewhat poor weather, we enjoyed Bariloche at a relaxed pace. 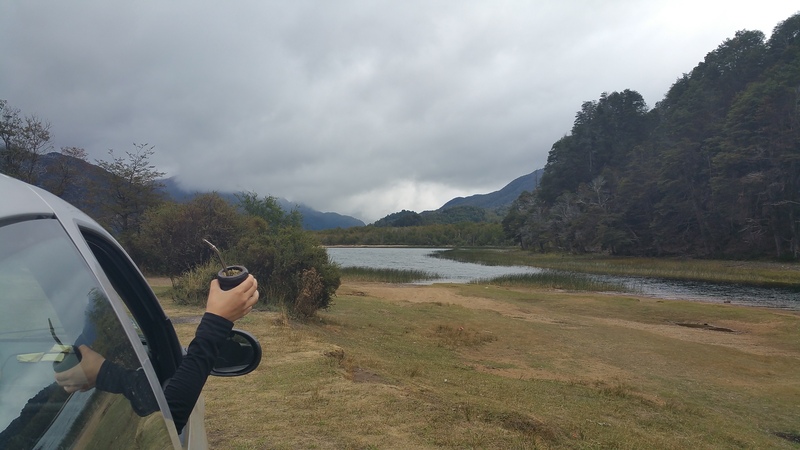 After having unreliable internet for the prior 2 weeks in Southern Patagonia, it was also the perfect place and time to catch up on life. 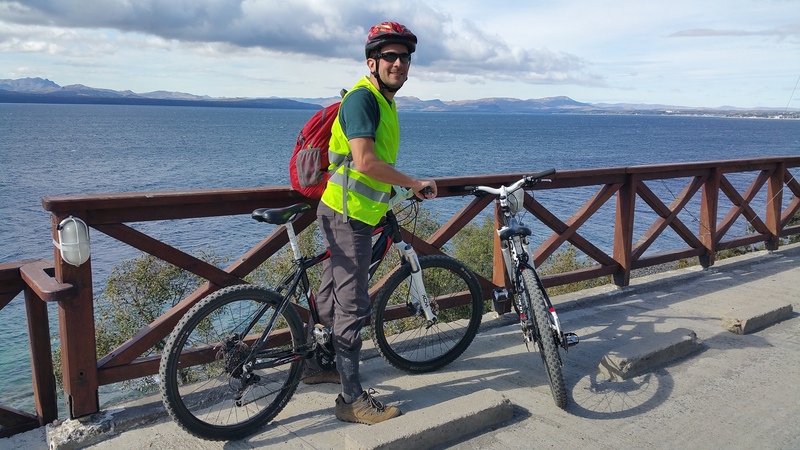 Day 1: We rented bikes from town and rode about 18 km out to the popular Cerro Campanario, whose views are apparently ranked by National Geographic as the top 10 in the world. The slight drizzle and 25mph+ headwinds made for an adventure! The tailwind back into town, followed by scrumptious chocolate at one of the numerous chocolate shops and our first home-cooked dinner on the trip (yay hostel kitchens!) meant a solid first day. Day 2: rain, rain, rain. So we chilled. 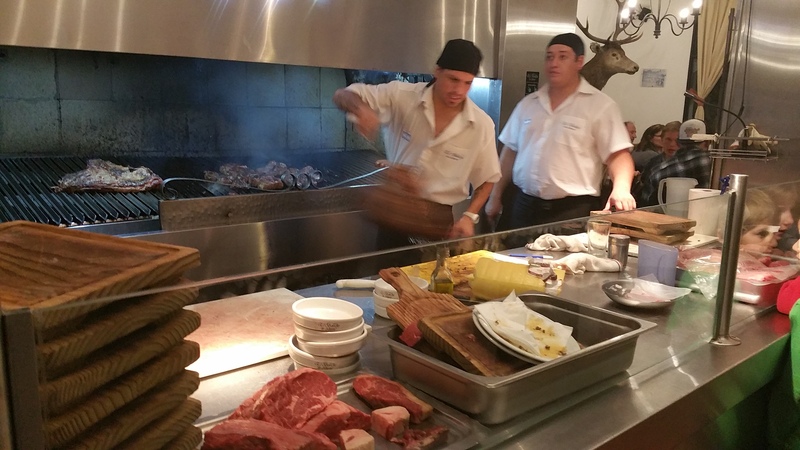 And for dinner, we ate at El Boliche de Alberto, a restaurant notorious throughout Argentina for their steak. 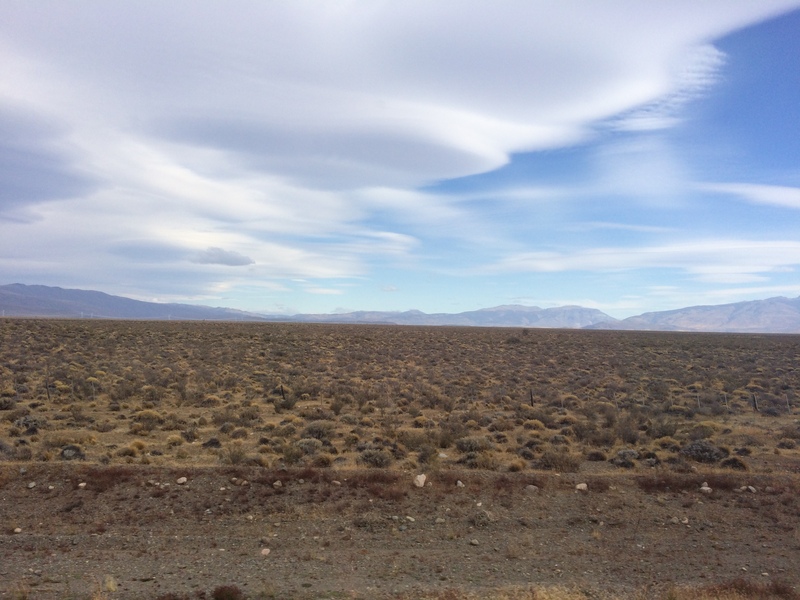 Day 3: We were finally granted some sunshine…at the sake of gnarly winds. 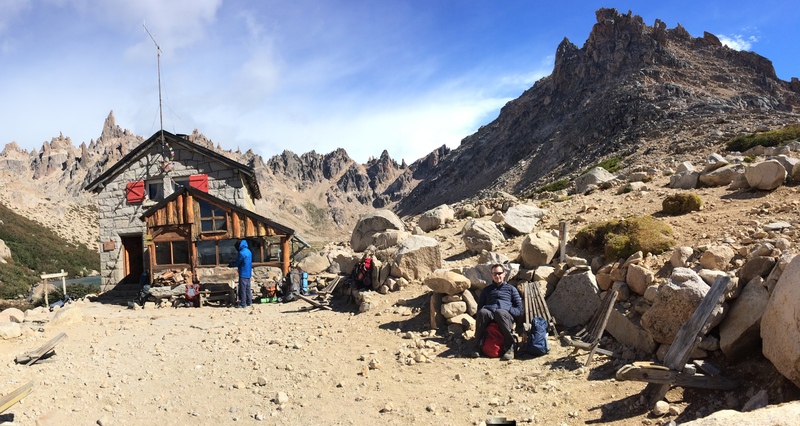 Public buses in Bariloche are fantastic, and we took one from town to Cerro Catedral for a 5-hour round trip hike to Refugio Frey. 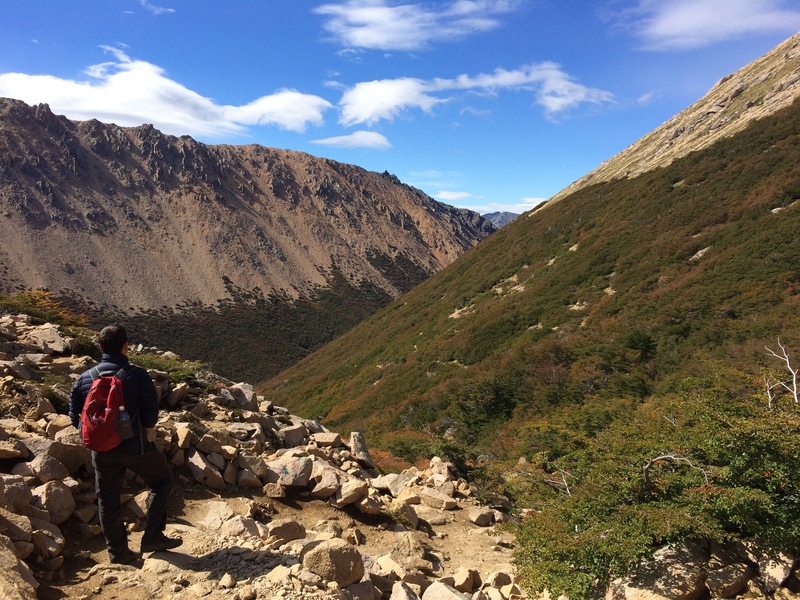 Of all the hikes available in Bariloche, we were told that the hike at Cerro Catedral was the one to do. 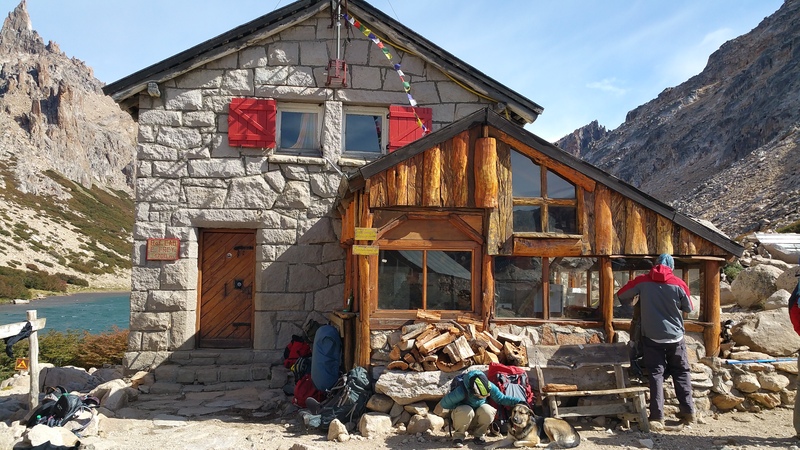 Although the hike to Refugio Frey cannot even remotely compare to the hikes we had done in El Chalten or Torres del Paine, there were still some photo-worthy views from the top. Unfortunately we could not enjoy the mirador for long; the biting cold and slashing wind forced us to retreat. 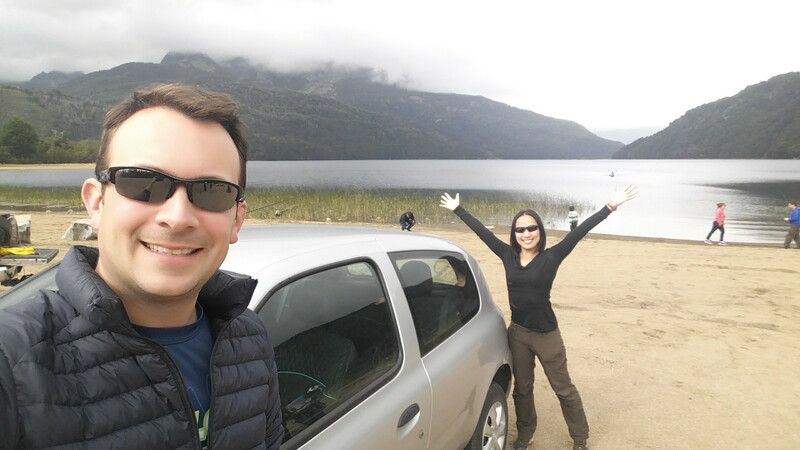 Day 4: Two friends recommended traveling the route from Bariloche to Villa La Angostura to San Martin de los Andes (The Seven Lakes Route). Numerous excursion shops offered bus tours through this area, but we rented a car to enjoy the drive at our own pace. 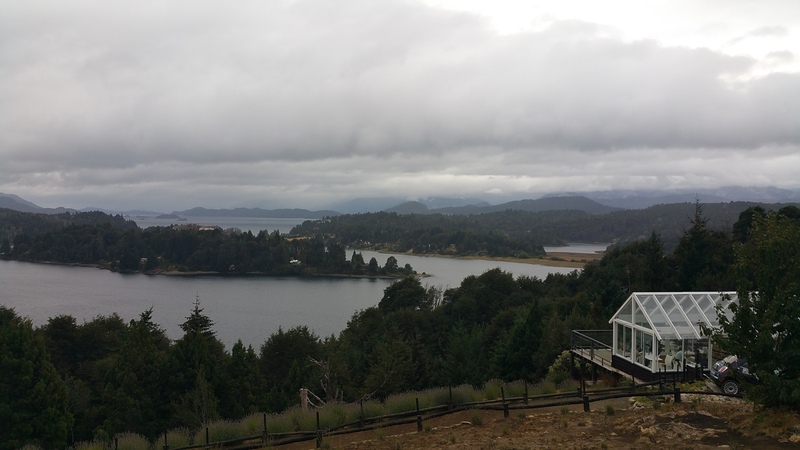 Despite the drizzly and windy weather, we enjoyed a day of driving and exploring Bariloche. 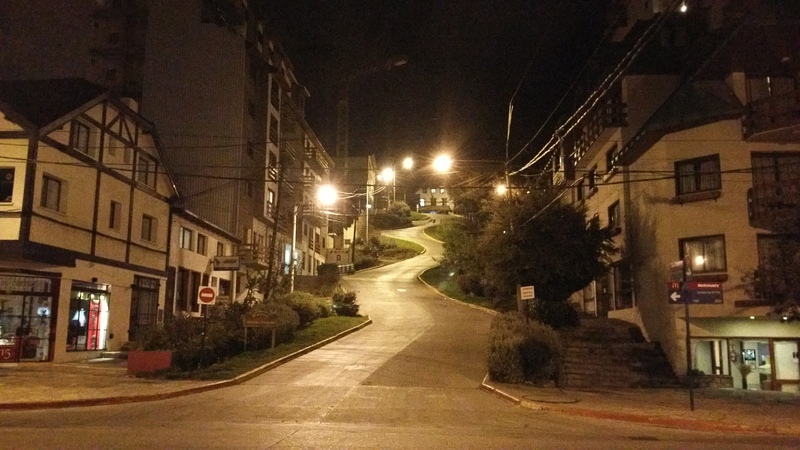 That night we even found Argentina’s version of San Francisco’s Lombard Street!